How does IMPACT&hairsp;ADVISOR (IA) rate companies? In order to offer an unprecedented amount of choice, we designed our systems with the unique capability to incorporate ratings data from essentially any source. We use our expertise to pull data from a wide range of sources to create ratings for all of our causes, with the flexibility to accomodate your individual preferences. How extensive is the investment universe? More than 2,000 companies traded on U.S. stock exchanges (ADRs included) are considered in our proprietary social scoring and portfolio construction process. With that said, IA is happy to accommodate any client that has a particular request to include or exclude specific companies from their portfolio. Passive investors limit the amount of buying and selling within their portfolios, making this a very cost-effective way to invest. Meanwhile, active investing takes a hand-on approach that requires the role of portfolio manager to "beat" the stock market's average returns. However, with modern technology, outsmarting the market proves to be a nearly impossible task for even the most best teams of analysts and economic experts. Passive investing requires the "buy and hold" mentality," which proves more stable in the long run and provides a transparent, low-fee, tax-efficient means of investing. Are portfolios active or passive? Our software creates a custom portfolio for each client that is meant to track a specific benchmark index. In doing so, the firm utilizes a passive investment strategy with routine rebalancing. What is a tax alpha-seeking strategy? How is IA tax smart? A tax alpha-seeking strategy is one which looks to optimize returns while minimizing tax loss. We believe that the returns that matter are the ones you get to keep -- after-taxes. As such, the firm oversees asset allocation, rebalancing, and tax loss harvesting in order to ensure maximum after-tax profit. How is my portfolio structured? Portfolios are structured to track a specific index or indices. This includes diversification based on market sector, company region, company size, company beta, and numerous other factors. The companies ultimately selected for a particular portfolio will be the "Best of Breed" companies for the social causes that matter to each the client while maintaining adherence to these constraints. Smart Beta refers to the set of investment strategies that use alternative index construction rules seeking to achieve outperformance over first-generation market capitalization-based indices. Most smart beta indices isolate six particular “factors”—individually or in some combination. Those six factors include small size, value, high yield, low volatility, quality and momentum. Smart beta indices seek to deliver better risk-adjusted returns than cap-weighted indices. The S&P 500, or the Standard & Poor’s 500, is an index based on the market capitalizations of 500 large companies having common stock listed on the NYSE or NASDAQ. The S&P 500 index components and their weightings are determined by S&P Dow Jones Indices. The popular benchmark for US large-cap equities includes roughly 500 companies from leading industries and captures approximately 80% coverage of available market capitalization. How will investing responsibly affect my financial performance? A custom portfolio is built for each client that is meant to track a specific index. This index tracking portfolio is unique in that it is filled with "Best of Breed" companies for the provided social causes. Therefore, the client should get the best of both worlds; being able to invest in a socially responsible way without sacrificing on financial returns. What are the risks associated with socially responsible investing? The normal risks associated with socially-responsible investing are overweighting certain sectors, regions, or other factors. We reduce those risks or unintended bets through the use of our proprietary portfolio construction algorithms. Companies are carefully selected based on their social score and oriented together to track a specific benchmark index. In creating a portfolio that accurately tracks an index, all overweighting risks are overcome. What is ESG or SRI investing? ESG stands for Environmental, Social, and Governance. SRI stands for Socially Responsible Investing. They are terms most often used synonymously to describe the style of investing in which investors put their money into companies that they deem socially responsible or that share their same values. We enable the average investor to do just that without sacrificing on financial returns. What is the difference between IMPACT&hairsp;ADVISOR (IA) and Impact Labs? Impact Labs is a technology company that was created for the sole purpose of making individually optimized, socially-selective, and tax smart investing available to everyone. ImpactAdvisor LLC is a registered investment advisor in the state of California. IA leverages the technology created by Impact Labs to empower investors everywhere. Why should I invest with IA? IA enables clients to invest in the values that they believe while still maintaining superior after-tax returns. Through the use of proprietary portfolio generation algorithms, leading technology, and an experienced team, IA brings specialized, institutional investor services to the average investor. What types of returns can I expect while investing with IA? IA constructs a custom portfolio for each client that is focused on tracking a specific benchmark index while enabling each client to invest in the companies that share their values. Since each portfolio tracks an index, financial returns are meant to match the performance of that index. However, IA goes even further in the sense that we focus on strategies that maximize after-tax returns. In addition to receiving the same financial returns of a specific index, IA is also able to provide an extra 1-2% in profit due to our tax-smart strategies. The Megatrends are where IA expects the future of financial advising to be heading. The firm expects investors of the future to require tax alpha-seeking strategies, new technology, lower fees, socially responsible options, and unconflicted advisor/client incentives and seeks to provide all of these services to their clients. If you wish to be a part of this next generation of financial advising, sign up for an account today. What types of causes can I invest in? Our mission is to empower every investor with the ability to invest in the values that they believe in without giving up profits. The goal of the company is to take the services and experiences that used to only be available to institutional investors and bring them to the everyday investor. Does IA provide human support or is it strictly a robo-advisor? IA was created to be the perfect hybrid between high-tech and high-touch financial advising. The firm leverages new advances in financial technology while still maintaining that personal, human-centric feel of a traditional advisor. What kind of impact would my investments have? When a client invests in a company, that client tells the market that they believe this company to successful in the future. When more clients invest in that given company, the market begins to shift in support of various aspects of the given company and other companies start to mimic factors in that success. By investing in their values, each client has the potential power to lead a market shift in the direction of what they deem responsible. The more investors engaged, the more monumental the impact on the market as a whole. IA is B-Corp. What is that?  Today, there is a growing community of more than 2,100 Certified B Corps from 50 countries and over 130 industries working together toward one unifying goal: to redefine success in business.